Gilbert, Ariz. – July 23, 2018 – American Equus is thrilled to congratulate one of its youngest Chosen Riders, Jason Foley, on taking home top honors in the incredibly competitive Longines European Youth Championships. The 2018 event took place from July 8-15 in Fontainebleau, France; and gathered more than 620 competitors under the age of eighteen from 30 nations. 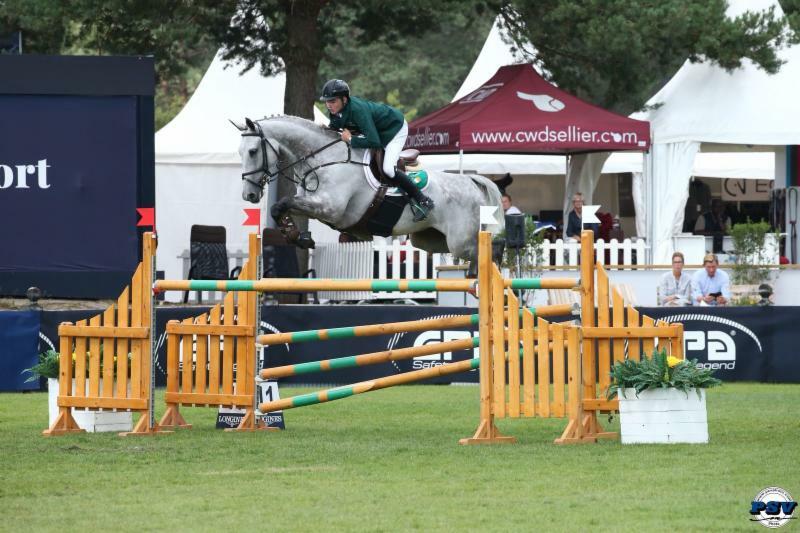 The 17-year-old Irish show jumper contributed to what was a very successful weekend for team Ireland. 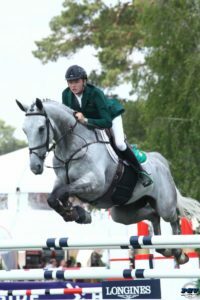 Foley successfully piloted the grey Irish Sport Horse, Castlefield Vegas over multiple fault-free rounds, eventually qualifying them for the final jump-off. With only one fence down, Foley was able to claim the individual gold with a score of 5.59 over Oliver Fletcher’s 6.20. Foley’s victory on Sunday bridged a 42-year gap from the last time Ireland won the Junior European Championships. 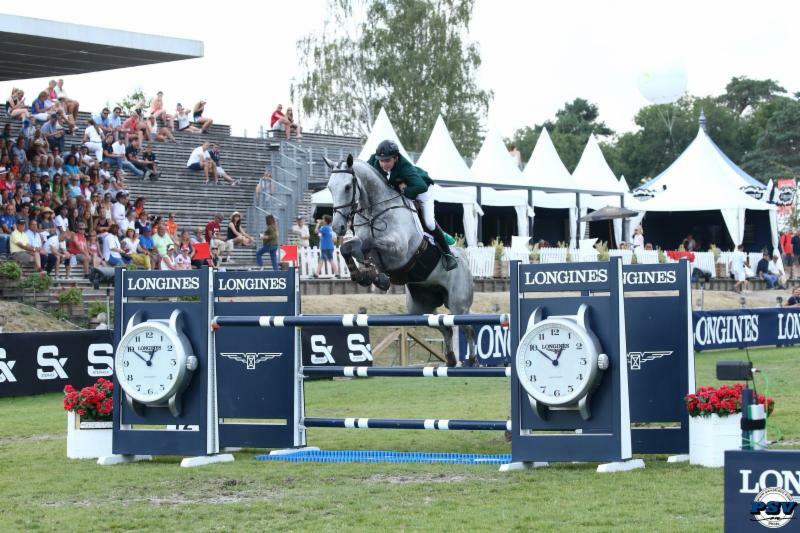 Jason Foley competing at Longines FEI European Youth Championships. Foley has recently joined a large group of successful, international athletes that are part of American Equus’ Chosen Riders program. To shop the complete line of American Equus products, click here. This entry was posted in English Riding, Media. Bookmark the permalink.